The work and history of Royal Doulton Artists and potters and their time with Royal Doulton. Including the superb George Tinworth and Charles Noke, Harry Simeon, Hannah Barlow, Florence Barlow, Mark V Marshal and many more. Most Royal Doulton artists were trained within Royal Doultons own factory but some like Charles Noke and Mark Marshall came to Doulton from other factories. 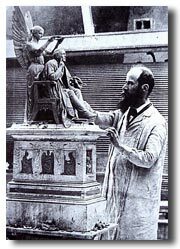 By 1884 the founder Henry Doulton had agreed to allow his artists to really spread their artistic wings and because of his open minded views, he was soon surrounded by one of the most outstanding teams of modellers, decorators and painters in the world of ceramics. 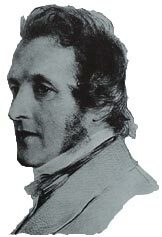 Robert Allen worked for Royal Doulton at Burslem as a designer from 1870 to 1929, he started when it was still called Pinder Bourne. He became head of department and lead a team of artists and craftsmen turning out the most expensive types of fine china. Doulton pieces signed by Robert Allen are relatively rare, but pieces made under his direction with ‘RA’ and a number are much more readily available. Hand-painted Doulton pieces designed and decorated by Robert Allen and the artists based in his studios were marked with RA-numbers. RA numbers are usually added by hand, and accompany the usual Doulton mark and design or pattern numbers. Robert Allen hand-painted wares were not reproduced in great numbers and some pieces have probably never have been reproduced. Dates and codes can be found in the Doulton Marks section. They provide a good guide to the dates of the designs. The RA-numbering was continued for several years after Robert Allen retired. It ran a programme of exhibitions that sparked the interest of the many Royal Doulton collectors. You can write for full details addressing your enquiries to: Mrs Sandra Baddeley, Tours Organiser, Doulton Fine China, Nile Street, Burselm, Stoke-on-Trent ST6 2AJ. This gallery, dedicated to Sir Henry Doulton, was based at Doulton Fine China in Nile Street Pottery, Burslem. It traced the history of Royal Doulton from its initial formation in 1815 and included a collection of several hundred rare Doulton figures. The Royal Doulton International Collectors’ Club is a flourishing organisation devoted to meeting the needs and special interests of Royal Doulton enthusiasts. Members are kept up to date on Royal Doulton Collectables. The club sends out a quarterly Club magazine, containing articles and news relating to antique and modern Royal Doulton pieces. The Club also helps identify and date unusual Royal DOulton items and helps find relevant information in the Royal Doulton archives.